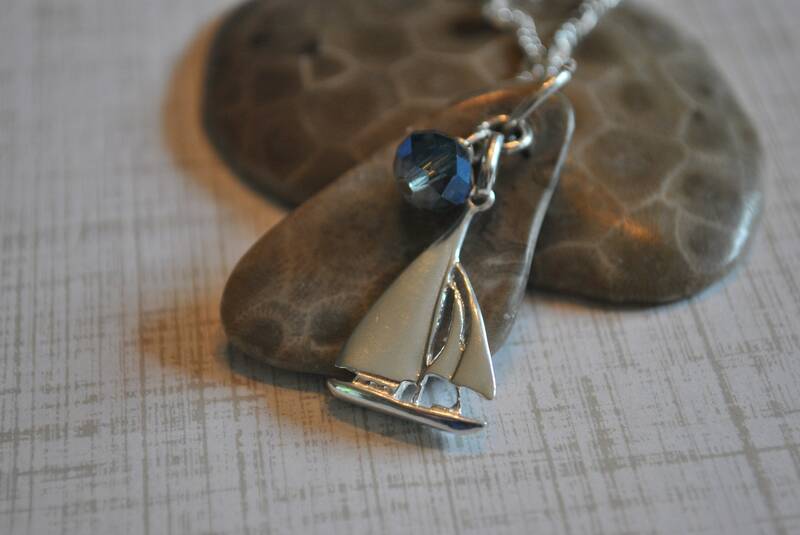 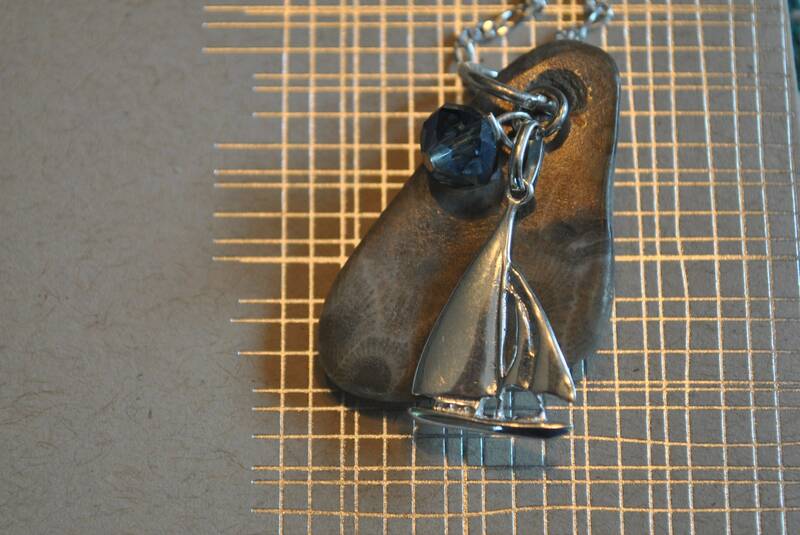 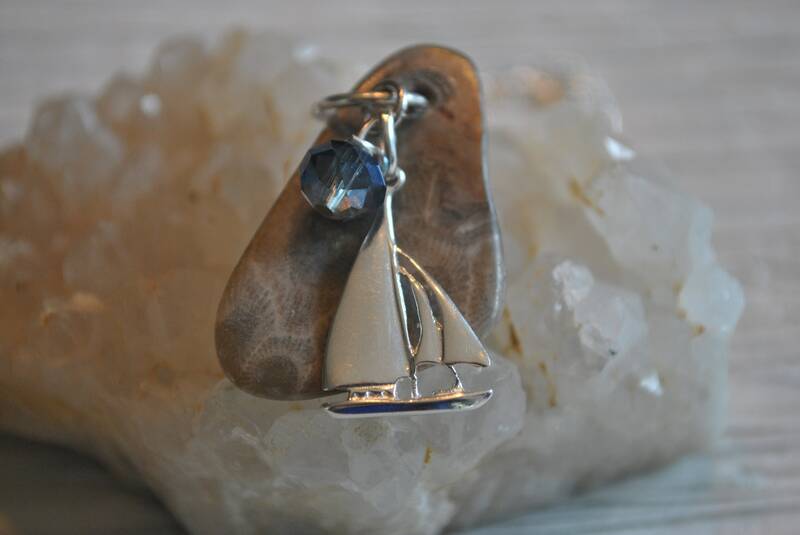 A Petoskey stone pendant is paired with a sterling silver sailboat charm, and a blue crystal. 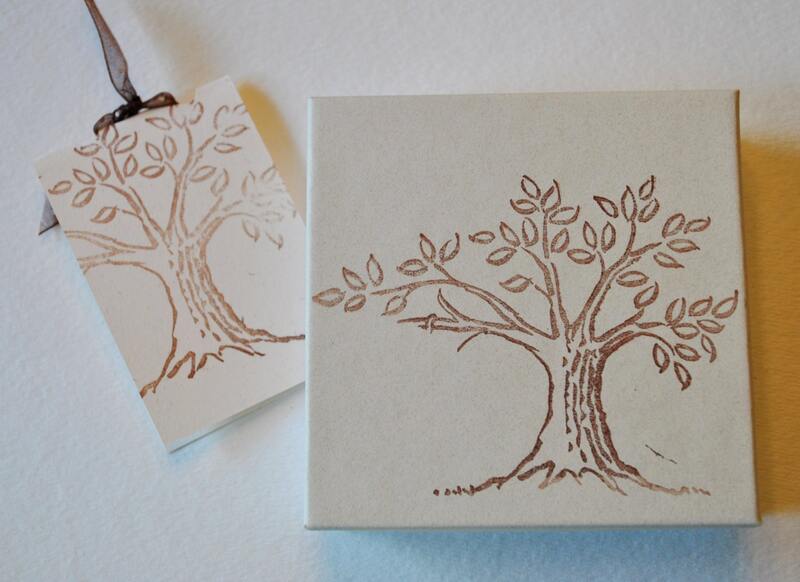 Handcrafted in Michigan. 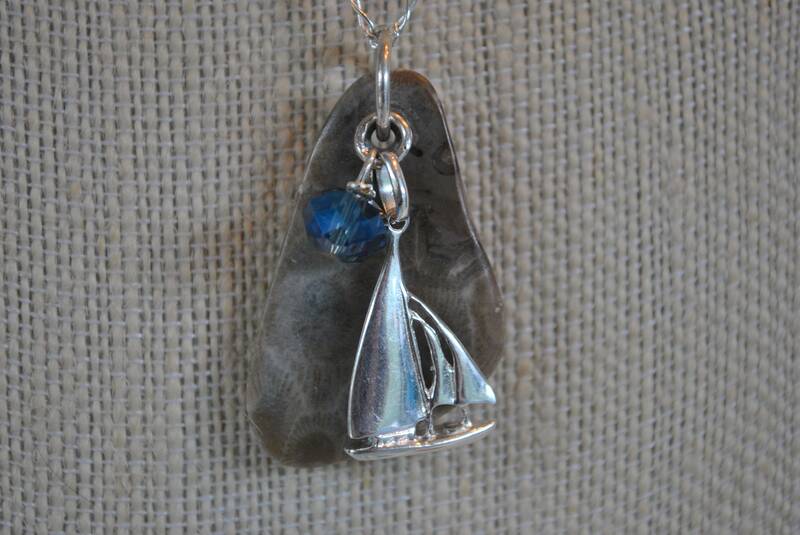 A perfect necklace for that someone special who loves spending time in Northern Michigan.